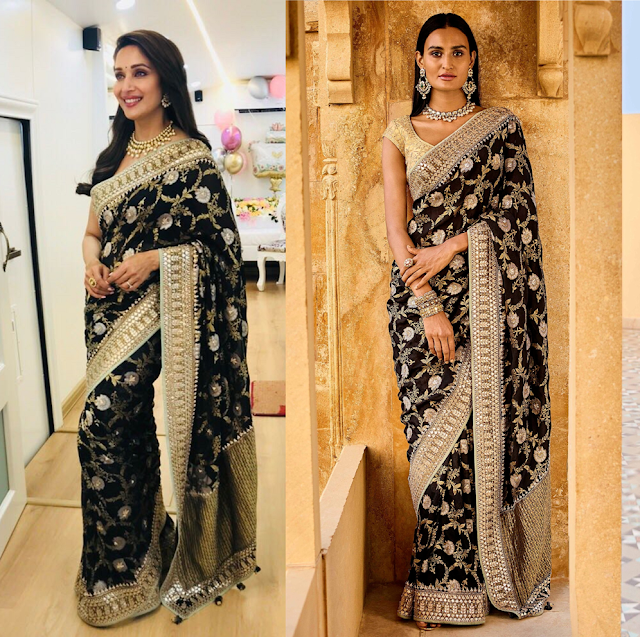 For the recent rounds of promotions of her upcoming Marathi movie “Bucket List” at a TV show, Madhuri Dixit picked up a black heavy border sari and jewelry by designer Anita Dongre. Open side partitioned hair along with a bindi finished off her look. Though this sari seemed little heavy to be worn on a TV show but Madhuri looked gorgeous from head to toe! What say? Like? Spine Surgery: Could It Be The Solution for You? Wowww her jewels are absolutely wonderful.